Make any day of the year more classy and celebrate a proud accomplishment by sending this gorgeous orchid and champagne gift. 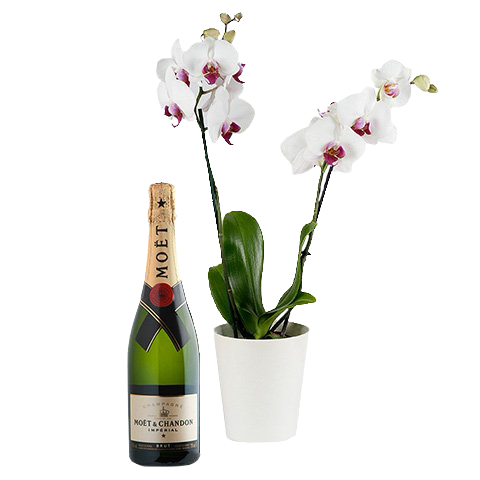 This combination of a serene white orchid and Moët and Chandon Champagne will let them know you're celebrating their success with them from far away. Beautiful!!! Everything arrived in perfect condition.